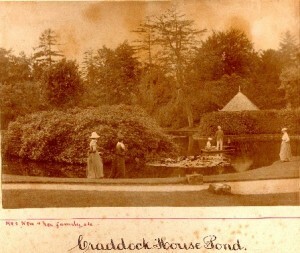 The picture features Mrs New and her family at the pond, at Craddock House. We’d be very keen to hear from the New family or anyone who has any information they can add to the archives, about this picture. John Cave New of Craddock House was a third cousin of mine. I have photos (album) of many of this family including John New and his wife + assorted children and information on individuals. These can be viewed on Ancestry – or could be made available. Is it possible to order / obtain a copy of the photo above ? Look forward to hearing more. Stephen New.